Diet is of vital importance to your pet’s health. 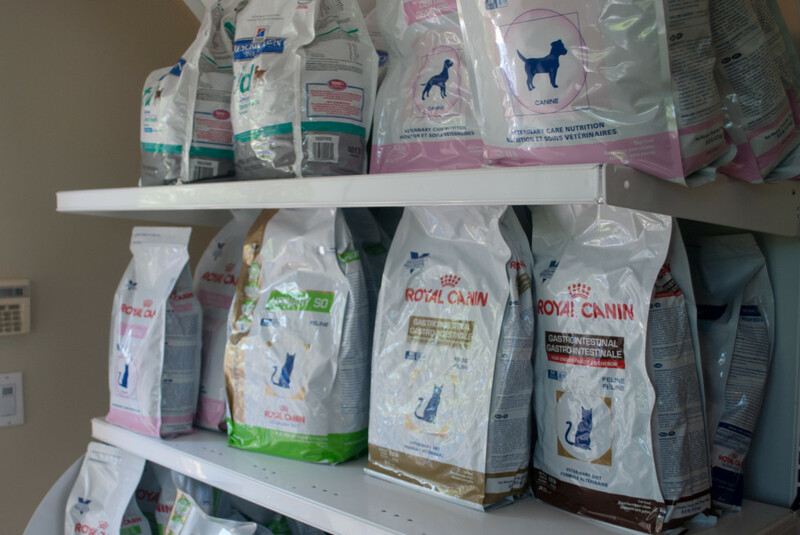 We have extensive experience in pet nutrition and can advise you on the best nutritional practices for your pet’s individual needs. Whether it’s weight management, special dietary needs, or nutritional balance, we are here to advise you on options you have. We offer counseling in dietary selection and feeding practices for pets during various life stages, such as growth, pregnancy, nursing, and the “golden years.” If your pet has a medical condition, we can help you select the most appropriate diet to suit your pet’s needs. If you prefer to cook for your pet, we can help make sure the diet is nutritionally complete and balanced. Ask us about nutrition when you come in for your next visit, or make an appointment specifically for nutritional consulting. We would love to help!